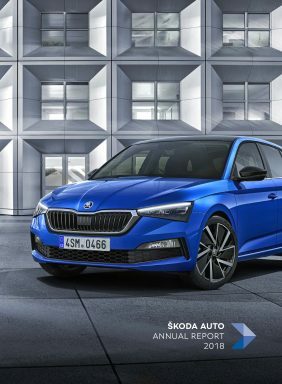 Mladá Boleslav, 3 February 2015 – ŠKODA is once again demonstrating the design skills and emotional power of the brand with the latest version of their flagship. The new ŠKODA Superb combines spaciousness, functionality and design in a truly unique way. ŠKODA already gave some hints as to the future of the brand’s design language last year, presenting the ŠKODA VisionC show car at the Geneva Motor Show. The new Superb now brings these innovations to series production. ŠKODA is now presenting the specific details on the third generation Superb with a closer look at the vehicle’s interior. The aim of ŠKODA’s engineers and designers was to create a superior inner space, with a more modern, elegant and sophisticated look. With further improvements to the interior dimensions, ŠKODA has brought the qualities of higher-class vehicles into the automotive mid-class. With the vehicle’s unrivalled amount of room, new level of comfort, new technical solutions and high-quality, precise workmanship, the new ŠKODA Superb is truly setting standards in its segment.